It’s a new year, and we’re excited to be adding more great imagery to Google Earth and Google Maps. Because we’re often asked about the age of our imagery and how often it’s updated, here’s a summary of what we’ve been up to recently. New 3D imagery: Ready for some (American) football? In the past several months, we’ve added new high-resolution 3D imagery for nearly 190 cities and metro areas, covering nearly 32 million people. Some of our favorites include Liverpool, England, home of the Fab Four; Supertree Grove in Singapore, featured in the movie “Crazy Rich Asians”; and just in time for Sunday’s Super Bowl kickoff, new imagery of the Mercedes-Benz Stadium. In case you missed it, we announced a new layer in Google Earth that shows you the cities and towns where we have 3D imagery available. Check it out in Google Earth. Since last we checked in, we’ve updated or added enough satellite and aerial (2D) imagery to cover more than 2.4 billion people across the planet. 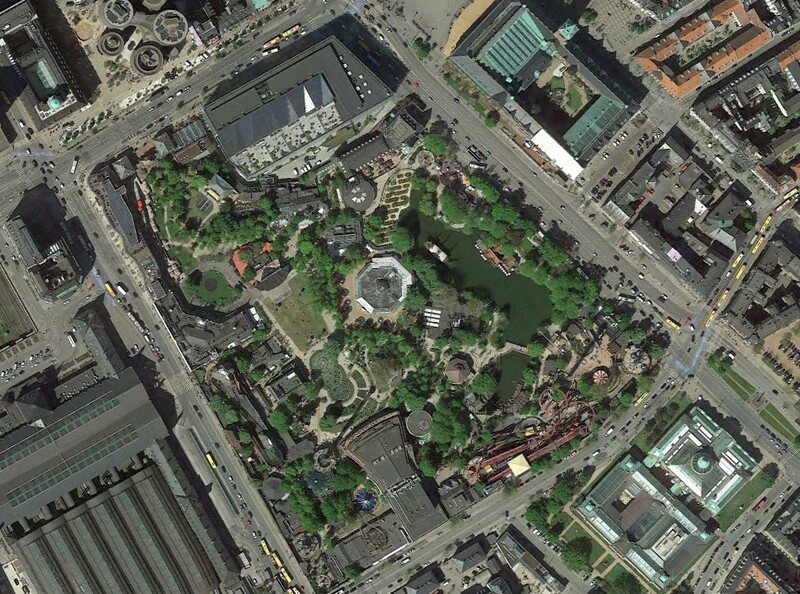 Explore new imagery for Tivoli Gardens in Copenhagen; Mykonos in Greece; and parts of Puerto Rico, including San Juan. 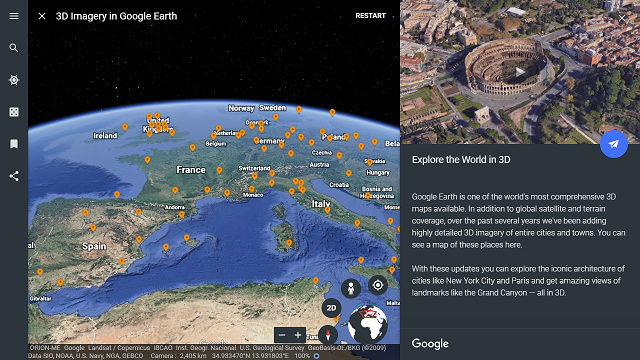 Tip: Turn off the 3D toggle in Google Earth to view our freshest 2D imagery around the globe. Until next time, keep exploring and enjoy the view!